Eighty percent of heroin users start with addictions to prescription medication. 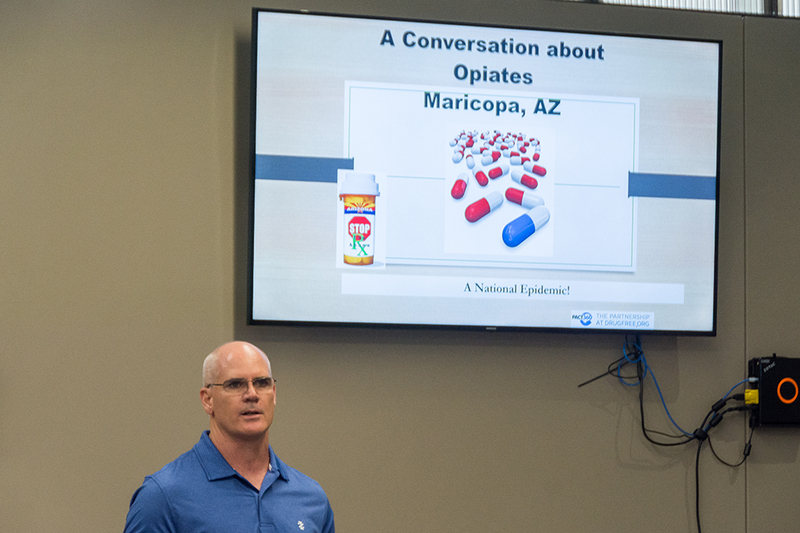 Maricopa Police Department, in cooperation with the Be Awesome Youth Coalition, hosted a presentation Thursday about the effects of the “opioid epidemic” in Arizona, and across the country. MPD Chief Stahl said so far, the epidemic has yet to impact Maricopa the way it has in other parts of the state. With the help of presentations like Thursday’s, he wants to keep it that way. In 2017, between June. 1 and Aug. 8, Arizona saw 206 suspected opioid related deaths, 1,417 suspected opioid related overdoses, 105 babies born exposed to opioids, 1,071 doses of the opioid antagonist Naloxone (Narcan) administered and 1,045 overdose victims were revived. 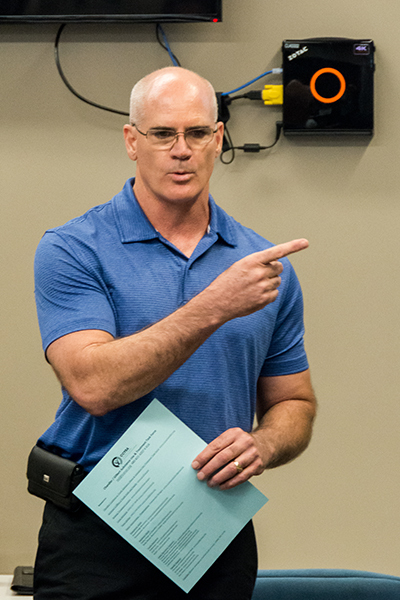 John Koch, a reformed addict turned advocate who spoke at the presentation, said the actual numbers are much higher. Koch works with several organizations which help distribute Naloxone. The data they keep, he said, shows a need for greater access to the lifesaving drug. Currently, he said, pharmacies have a “standing order” for Naloxone which can now be purchased over the counter. For those who don’t have insurance and cannot afford the $30-$65 cost, he said, an organization he works with called Sonoran Prevention Works will deliver Naloxone, and teach how to properly administer the drug, free of charge.